Flower Heads Brown Scarf. 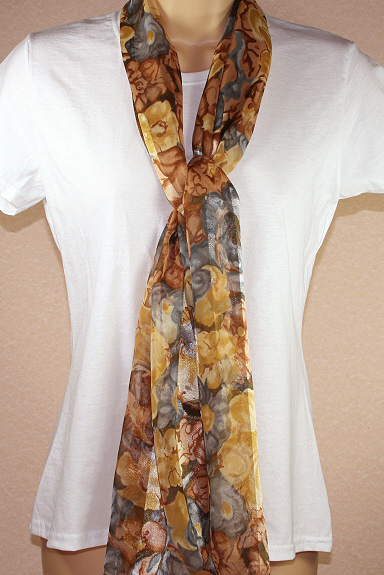 A brown scarf with light beige and orangy coloured flowerheads. Long straight scarf.